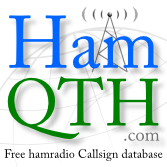 How many QSO do you have in CQRLOG? THIS PROGRAM DOES NOT WORK. USED INSTRUCTIONS ON CQR WEBPAGE AND THE TERMINAL WENT TO WORK. SEVERAL ERROR MESSAGES AN ICON IS ON THE DESKTOP THAT ONLY COMPLAINS ABOUT MYSQLDB AND LOCKS UP. I AM A NEW USER TO LINUX UNBUTU AND I HAVE FOUND SEVERAL SUGGESTIONS ONLINE TO INSTALL CQRLOG BUT NONE OF THEM DO ANYTHING THAT I CAN EITHER FIND OR THAT WORK. ANY HELP APPRECIATED. PLEASE SEND EMAIL TO MY QRZ.COM EMAIL ADDRESS. Delete what you have done so far. now go to your software center and search and install, Gdebi installer, once that is installed come back here and go to downloads and dowload the version you require i386 32 bit or 64, 64 bit, go to your home folder look for downloads, right click on CQRlog and install with Gdebi installer, thayt should do it, follow the instructions. you should also install synaptics package installer. might also want to get a book like Ubuntu the beginning and read that very helpfull.